Crews were busy this morning getting the turf ready for tonight's Golden Aces' home opener against Princeton. 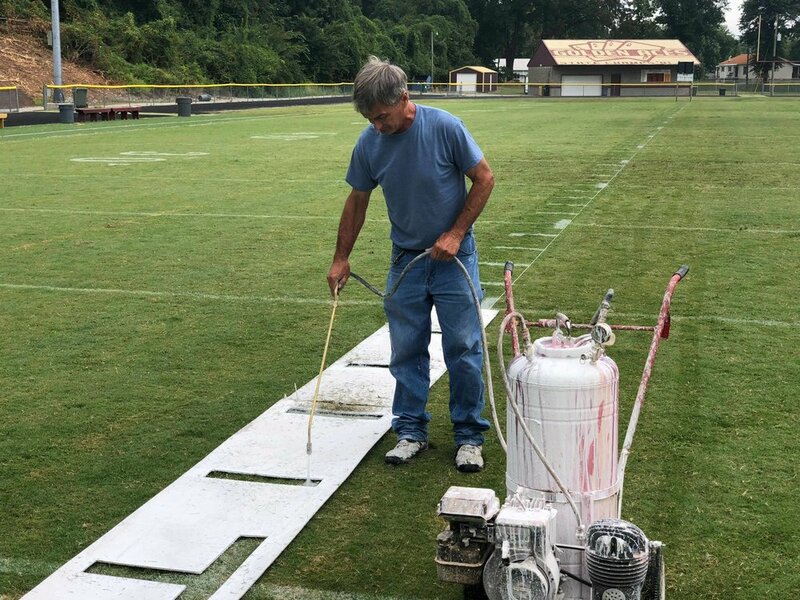 Mike Graetz and Mike Geurin painted hashmarks and yard lines and field markers on the Riverview Stadium field. The Aces and Tigers square off tonight at 6pm. The game can be heard on WSJD-FM 100.5 & online at wsjd.fm.